Forum doesn't allow links from Imgur. This Draw happened one time. The countdown started and then went back to the hangar with that result. 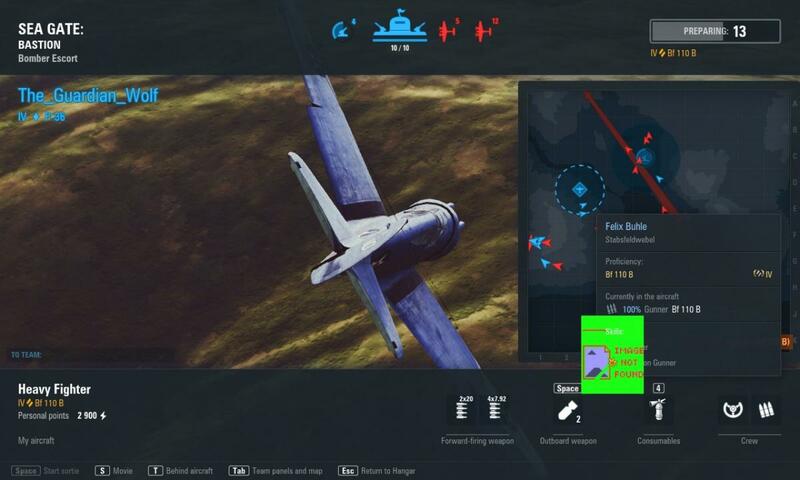 Both teams planes were destroyed. Third picture is graphics bug when hovering mouse pointer over crew. Edited by egikov, 05 October 2018 - 04:03 AM. Gotta remove the "s" from https for imgur to work. Just copy the BBcode link and remove the crap on the sides and retain the original link which ends in .jpg. Edited by ArrowZ_, 05 October 2018 - 04:22 AM. Do you have any modes installed? I will pass along the information to the team. I had that green image not found in one battle, while holding Alt key, in the mini map it would display. Also, first game after the update gave me the BSOQ. A task manager/quit/relaunch/loaded me into battle worked. 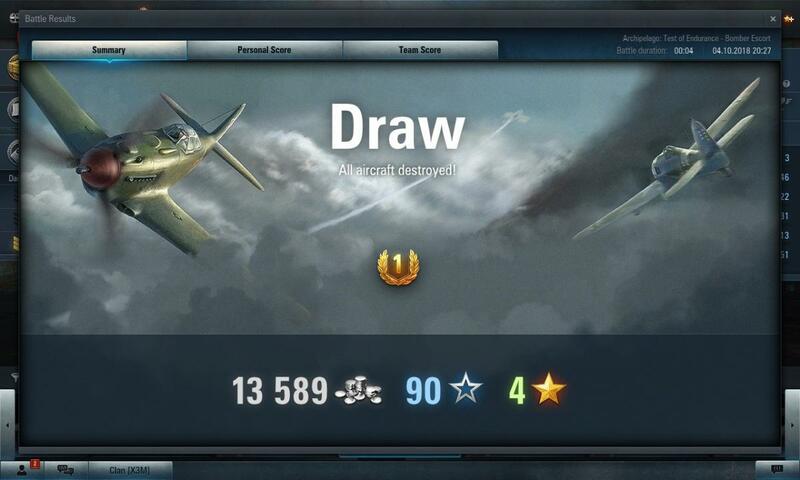 Later on, twice I got disconnected leaving the planes in battle. They came back an hour or so later after another relaunch. And then at some point massive packet loses that really ruined the battles. Enough is enough WG. Fire Persha from this game and get some competent devs on this property now. This isn’t acceptable after all these years of f-ups, time after time, again. And ya, clear as mud that the bomber targets are the edge of the map, whatever gets through is subtracted from that 10/10 number in the top middle display. Edited by Bubba_Zanetti, 07 October 2018 - 03:29 PM. The draw wasn't the issue, the game never made it past the battle countdown, meaning the battle never happened. Yes. And it says battle duration on the image - 00:04. Four seconds. Edit: I don't have any modes installed. Edited by egikov, 05 October 2018 - 03:13 PM. Just noted the WoWp is Bug...gered up again. 2) Shows DEFEAT then in hanger - Victory. 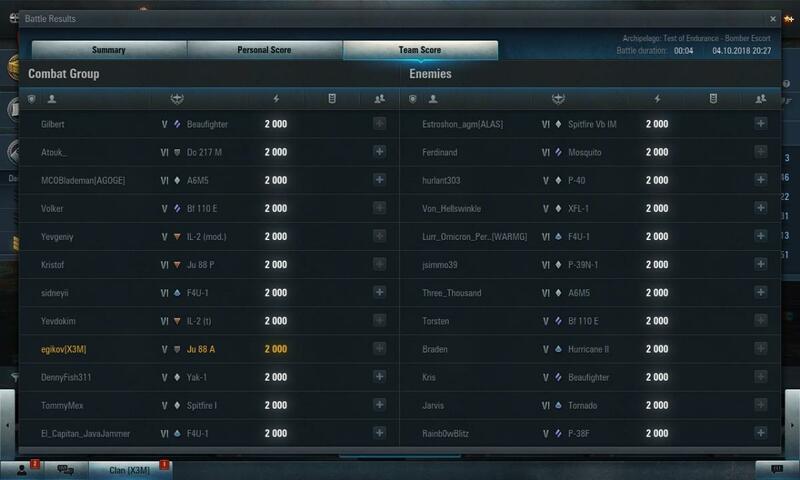 3) After Battle - 'No Image to Show' in all the medal spots. 4) T10 my Me GA decided to barrel roll throughout the entire battle (mean it was spinning like a top) lucky the lead and bomb sight were where they meant to be. Scored Victory in that crazy spinning mind blowing battle. 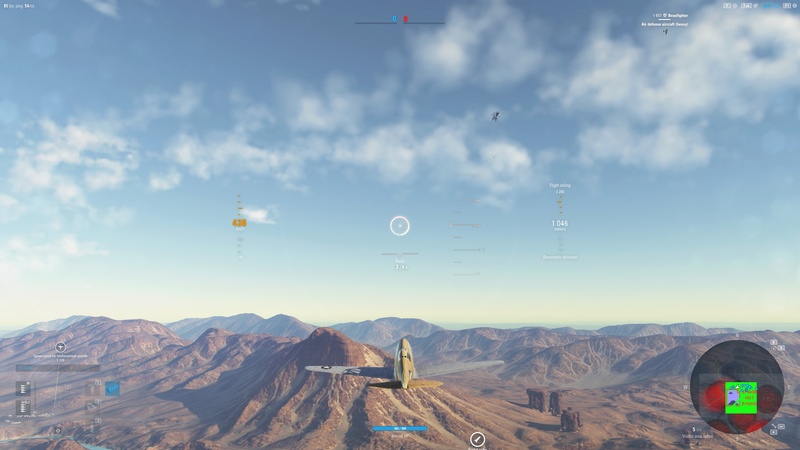 5) Ghost planes shooting you from no-where and taking damage from AA's that is not even there or your own AA's hitting your plane. Edited by Kingwicked101, 05 October 2018 - 04:34 PM.